Minimalistic indoor table with matt finish. 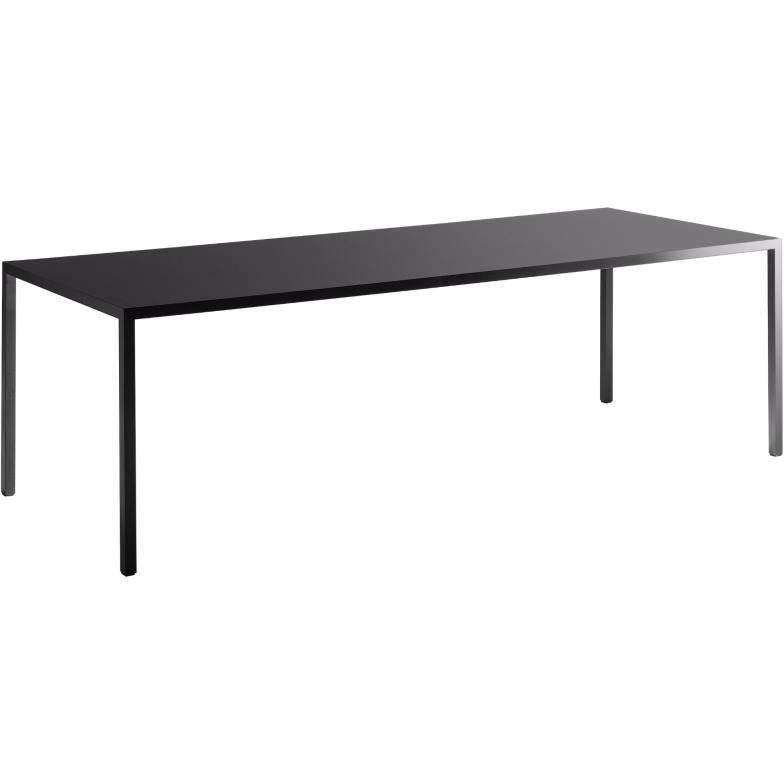 A mono-material table featuring exceptional dims thanks to its tension capability. The important technological innovation it incorporates, combined with the tensioning capacity of the components, makes it possible to build tabletops in large sizes which remain perfectly flat and also extremely light. Availability of equipped tables with one or two openings for cable management and 'undertop' cable tray. The 35mm thick tabletop is a load-bearing composite board built with an internal frame consisting of either aluminium profi les and polystyrene fi ller (mono-material version), or an acrylic resin honeycomb and two outer layers of aluminium (monochromatic version). 35x35mm steel legs with internal structural tie. The acrylic resin coating is in the same matt colours as the tabletop. Slight colour shades can appear between the top and the structure. Do you have a question about "tense 150cm"? How can we contact you?